Learn how a Lineman lost one of his friends due to improper cover and how that experience 30 years ago set him on the path to teaching others about the importance of covering second points of contact. 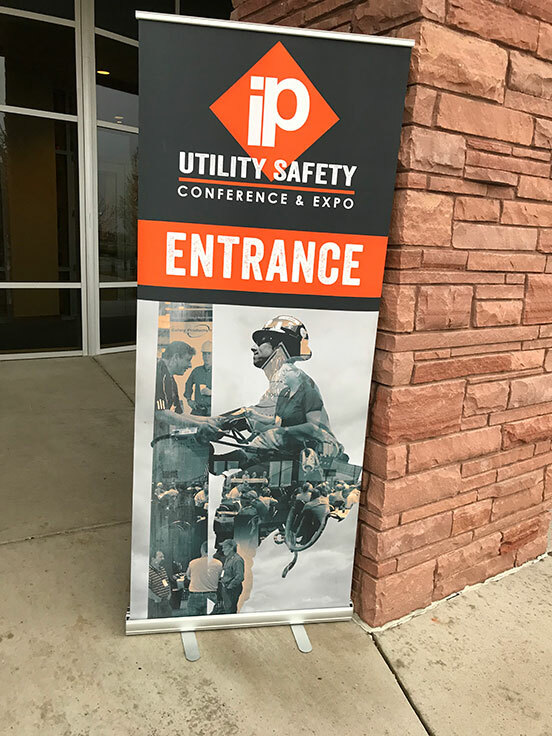 Straight from IP Utility Safety Conference in Loveland, CO. I talk with Lineman Bruce Meagher about his 36 years experience in the utility industry, what he learned and what he thinks is important for the new guys coming into the industry. David: So I’m here with Bruce Meagher. Bruce, tell me a little bit about your background. I know you’re an old-time lineman. So tell me kind of where you started and tell me your story. Bruce: Well, I started in Halifax, Nova Scotia; February 14th, 1977. An apprentice lineman for Nova Scotia Power, and I was a local boy and I got my trade. Then I became a journeyman, worked journeyman for about six or seven years … probably six years. Then we had a situation that one of my friends who was also a lineman. He had a death. It was a death, and anyway, from that point on the power company and the Department of Labor and the Union got together and had to come up with a program. A code of practice on how to move forward so we weren’t hurting people. Bruce: That started me on a committee, which basically put me on a path of learning more about the second point of contact and covering up the primary properly, and how to work in that zone, the primary zone. Here it is today, 2018 and I’m still talking about it and how to improve it in the workplace. I’m working in Chicago right now, but I’ve worked all around the United States. It’s definitely … It’s a part of our business that we need tons of work on. We have to really have the pressure on companies and the Unions and the workers themselves. Bruce: How do you apply the rubber cover-up and understand what … How to stop that explosion from happening or that path in the ground through our bodies? David: So you said you started at a utility, but now you’re a contractor, right? You also said you’ve been working in California some? Didn’t you say you were out in California working? Bruce: Yes, I had been back and forth from Southern Cal, probably since 2003. Back and forth to Illinois and back, and then back, and then a little bit down San Diego but mainly around the L.A. area is where I did most of my work out there in Southern Cal-adjacent area. I was a contractor for them, a large contractor. We go out there and work a bit, different things, helicopter jobs, work after fires, the lines get burnt down up in the mountains, you go up and fix them. Then down in the valley, you do pole replacements and conversions, and stuff like that. David: I’ll bet the weather was a little bit better than it is in Chicago. Bruce: Yeah, you never get too many inclement days. So you have to watch and drink all your fluids, that’s for sure. David: So I met you at the Utility Safety Conference, and I listened to you speak. I think you had some interesting points that I kind of want to go over. One of the things you were talking about is crew makeup and your quarterback. What you were calling the ‘quarterback’. I guess we call that the primary observer, that’s what we would call it. What’s your philosophy on crew makeup? How many men do you think you need to have for hot work and what their roles are? What’s your philosophy on that situation? Bruce: I believe in the observer. I believe when you have two men in the air, that observer has to stop doing what he’s doing, and he’s got to be watching them. I think he’s got to be in control of the job. The two guys in the air can’t be making decisions on their own. You talk to them on the ground, they’re going to go up and they’re going to do their job that you talked about, but they can’t do a critical cut on the primary without taking the observer into the situation. Bruce: The observer, they’ve got to read how many amps are on that line. They’ve got to read how many amps are on their MAC, and they have to give that information to that observer before they can cut the line. He has to give them an okay, that way you have three-way communication, and you have the ‘quarterback’ controlling it. I kind of consider him as the quarterback. If you do not use him, then you’re basically peeling back a layer of protection for yourself; using him correctly, then you’re actually giving yourself a better chance to be successful around that primary zone. David: So, how many men? Your normal crew makeup, how many men do you usually run on a crew? Bruce: That varies. It all depends on where you are and what contract day works out. Like, if you’re in Southern Cal, it is an area, for the contractors, it’s four men. If you’re in the Chicago area where I am right now, it’s three men but you can get four men. You may have four men that day, but they have it that they can give you three men. So your observer stops doing what he does and he watches those two men in the air. David: So how do you have a ground-man then? Bruce: The thing is, with the ground-man, is that the ground work’s got to stop. Then if those guys need something, they get a backhoe. It’s got to be hauled up in the air and they’ve got to get it. Then they’ve got to get back in the primary position of where they’re going to do the rigging or whatever they needed. Then everybody can get back in position. Bruce: When one of those elements … Like if that observer leaves, that journeyman up top, if he feels that he’s not being watched then he should stop. “Hey, what are you doing? You should stop. Pull away from the primary zone, ask what you’re doing.” Otherwise, you’re going to have a problem. You have to have that set of eyes on you, working electricity. There’s so many different things that happen. When you travel, when you travel, I’ve seen some things in different little areas that one guy works the primary. Bruce: We didn’t work the primary by ourselves. We all had to stand down until he came and covered the primary for us, one man. He was in … You know, it was 25,000 volts. That one man covered it, that was the area that he works and that’s what they do, and we couldn’t believe it. David: Right, so when I started back in ’79, basically, we were a three-man crew. They finally kind of let us have four. We were doing some hot work, but a lot of people want more. They want four, five, six people on the crew to do hot work. Bruce: Well, if I can … We can do hot work with four guys. You’ve got two trucks, if you’re lucky enough to have two trucks. Let’s say you have a hot apprentice up there with … Or maybe somebody will be down and have two guys up in the bucket like this. It all depends on the combination you need. If you’re doing hot work, there shouldn’t be anybody just standing there doing ground work. The observer should be standing there watching, and if you need anything then they’ve got to stop and come down a bit. Then you send it up on the hand-line. But three guys in the Chicago area? Bruce: I think myself, that it’s always nice to have four people when you’re doing three-phase. You get involved with single-phase and that kind of stuff. A three man crew is very efficient, but they’re always trying to cut you back. David: Another thing I thought was very interesting about your talk was your philosophy of like … Because a lot of people are hesitant to put a lot of cover up there, and it’s kind of a long road to getting this thing, put in a place where everybody really buys into the cover-up. You had a little method used, and it started off with: You would teach it, and then you would kind of go into the field with them. Could you explain a little bit about that? Bruce: So to me, to make sure if I was the company, to make sure that my fruits of my labor are paying off, I’d want to go out to the field. So follow up your training out to the field visits in real time, corrections. Go to the job, there might be a split blanket that’s not being used or whatever, you just subtly … You know, “I want to talk to the guys.” You mention it to the foreman and the foreman yells it up, he’ll get it done. The next time you come over to visit, it’s being done. Bruce: You don’t have to … I also believe that’s between me and the foreman. Then I go to visit them while … You know, I’m not doing that program right now. I’m actually working on a truck in a Chicago. I’m not doing what I was, what I’m telling you what I was doing. We would come back and visit again in another week, and visit again another week. I also had other crews to visit, so you weren’t on one guy all the time. After a while, they knew you were coming and they practiced the rubber-up properly. That kind of stuff, so it’s a subtle change. It’s a big change, but you have to be subtle to do it. David: I think that’s the key because everybody gets the training. We do the same thing, but when I was a lineman, we’d get the training but then nobody comes and follows up. So basically, if nobody’s following up, then it kind of goes back to where it was before. I thought that was very interesting, that you brought up about, you know, you’ve got to go out there and talk to people, and be around them just to make sure. If something’s not being done, just kind of coach them in what they’re doing instead of … You’re out there to like, get somebody in trouble or whatever. Bruce: Well, with my visits at first, I was doing … Once I got everybody mostly done, then I’d go out and visit and I might get only three crews done because you needed more time with them. That was three crews probably six days a week. As they got better, you didn’t have to be on the job site with them as much, because I was always looking for the rubber and how it was applied. I was in there to walk the whole job and do whatever. Bruce: I would probably get five to six visits a day, and that’s six days a week. You add that up, that’s quite a few visits in a year, plus the regular safety guy was doing his visits too. He was doing five and six visits a day. So you add that up, they’ve always got a presence of somebody coming out. I wasn’t disturbing their job. I wouldn’t disturb the job as far … Unless I saw something that was … I would check your grounding, make sure everything was done correct there, and see what rubber they had on where they broke the phases open. Then I’d walk in and see what else, what they’re up to and if they had the EBZ bracket on, because that’s all part of it. If you don’t have the EBZ bracket on, the Equal Tension Zone Bracket. If you don’t have that on, you’re going to work the line hot. That means the full array of cover-up. Bruce: That’s considered warm, some people don’t want you to work those phases warm, because then you’ll take shortcuts. Even though the phases aren’t real hot, don’t have potential on them. You can’t have people thinking … You can’t let lineman do that. You can’t let them work it warm. David: Yeah, I’ve definitely seen it. I might have even done some of that myself in my day. Bruce: You go some places, they won’t let you do that, like that local 47. That’s alright, but you still can’t do it. You’ve got to do a full array of cover up. Why not just put a bonding bracket and a ground? Then you’re covered. Leather glove it. See, the time-frame of 1977, 1978, we were using equa-potential-grounding. Down in the states here, I very seldom ran into it. David: Well, I’ll tell you. I came from Utility in South Carolina, and when I left there in 19 … I mean 2014, we still weren’t using equa-potential-grounding. David: I think what you’re saying is common sense. We have common sense since we’ve been in the business, but I think we’re dealing with a lot of people now who didn’t come up as a lineman, and they’re in positions now, like manager or whatever. So they don’t really understand what we’re talking about. I agree with you, I think it’s much better to talk to them, retrain them, explain to them instead of just going out there and getting rid of them. Bruce: I’ll tell you, you get rid of the four man crew, now you’ve got to retool that truck up with people. They’re not that far out of sync, the guys that you’re getting rid of. It’s just that they needed a sit down and, “Let’s go over this rubber cover-up again. Let’s go over it again.” So you spend an hour talking about it, and reinforcing it. Maybe it’s been six months since you’ve talked to them about the rubber, right? Bring it back into focus again. David: I like that philosophy that you have. Let me ask you, what’s your craziest lineman story that you’ve ever had? I know you’ve been all over the place. You’ve been from Canada to California. Can you tell me a crazy lineman story you’ve got? David: You can’t tell it? That’s what you’re saying? You have them, but you can’t really … You’re having a hard time figuring out if you can say it or not? Bruce: Yeah, because you know, he might be listening. David: How about crazy people? I know you probably know some crazy guys you’ve worked with. Bruce: There’s funny stuff, lots of funny stuff. I mean, there’s just so much. There’s so many funny things that happen. I can’t even … I’m incriminating people! But nothing dangerous or bad, it was just good humor, good fun. David: Hey, I understand. I understand perfectly. Do you have anything else you’d like to talk about? What do you think the biggest threat to a lineman is? As far as our job and getting hurt, what do you think the biggest thing going on now is to lineman? Bruce: I think for the outside contractor, I think … I don’t think the companies wear enough of the blame as far as our attitudes in the workplace towards safety. I’m talking about contract bids. When a contractor bids so low, all of a sudden, they still are keeping up the safety. They want safety standards are kept up to a high level, but I think at the same breath, they’re coming out talking about, “Got to get this done. Got to get this done, got to get this done.” They’re under bid with the contract by a ridiculous amount. Bruce: It’s the same thing at a Utility, the same thing. I mean, the Utility wants … I’m just talking about friends of mine. The quality of life for some of these lineman that are working at the utility on twelve hour shifts, taking shifts is just brutal. They don’t care. The men are … I would love to see an outside body come in and study some of these utilities, what they’re doing to their men. They’re dealing with high voltage. You talk about having family problems and this and that, and being able to step away from work. But when it’s your job and it’s ongoing, and they don’t care. They just want you to fill in that shift, and they don’t care if you have a family situation or a family function like a normal person. No. Bruce: So, that puts a lot … I see a lot of my friends that are working at utilities just getting turned inside out and just hate their job, and can’t wait to retire and they’ve still got 15 years to retire. That’s terrible. This trade used to be so much fun. On our side of it right now, the outside contractor … I still think our biggest enemy is the lack of training and rubber cover-up. I think they roll their dice, hoping they’ve got a good lineman out there tonight that’s going to do a good job. But we’re still killing a lot of people across the United States. That’s not really acceptable to me. Bruce: I just would like to see them get serious on the bids, when the utility puts a bid out and says, “You will have this in place.” How are you going to cover up? How are you going to do this? And all of this kind of stuff, so it’s something. I’ve been talking about this for 30 years. I don’t see it happening overnight, that’s for sure. David: Well Bruce, I appreciate you talking to me. Is there anything else? Do you want to promote anything? You say you’re still working. You’re out there on the crew, right? Bruce: Yeah. My son-in-law I talked about, he’s a journeyman lineman. I want to come back and work with him for maybe a year. Of course, my grandchildren are here (Chicago) , so that’s why I came back. So I’ll have a year with him on the crew and then go … We’ve already gone into a couple of storms together, so that was fun. So we’ll see how that goes. Bruce: Oh, it’s coming up. It’s coming up, that’s for sure. You can’t run away from that. I’d say within a year. Yeah, I’d say so. I’m 62 now. David: Well, I’m 60. I’m right behind you. It’s going to be hard to … You know, you’ve got all these friends and this has kind of been your whole life, right? So it’s going to be very difficult to step away from it. You always get these guys coming up on the street, “Oh, I used to be a lineman.” How many times has that ever happened to you, right? Bruce: Yeah, it’s happened a few times. A lot of my good friends are already retired, a lot of those guys. There’s a lot of good men coming into the business. It’s just that … It’s a good trade to be in, and it’s a lot of fun. I’d just like to see less severe accidents happen, or any accidents happen, really. There’s a lot of fun in it, that’s for sure. Those lineman rodeos that Hawaii put on, that one was fantastic. The Kansas City one they have, all that kind of stuff is worthwhile. If it’s in your city, go to it. It’s fun. David: Bruce was just telling me that he was at the lineman rodeo. It was in Kona, Hawaii back in 2013. That was right before I came to Hawaii, but that rodeo is at the same base yard that I’m at now. So we do have something in common as far as that goes. Bruce: Oh good, good. That’s a beautiful place to work around, that’s for sure. David: Okay, well Bruce, I appreciate your insight. Thank you. Thanks Bruce, I think it turned out good. Awesome read. Bruce it has been an honor to work with you on your trip through California, hope to work with you again before you retire. I enjoyed your crew visits and your dedication to teaching linehands about cover and second point of contact. Really was great to see the light go on in a linemans eyes when they finally understood why the cover was there.